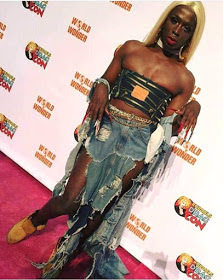 » Entertainment » Just Negodu:See What This Lady Wore To An Event.Is This Fashion Or Madness? Just Negodu:See What This Lady Wore To An Event.Is This Fashion Or Madness? Is she trying to set a new trend or what? Just look at what a lady in her rightful senses deemed fit to wear to an event. Title : Just Negodu:See What This Lady Wore To An Event.Is This Fashion Or Madness? 0 Response to "Just Negodu:See What This Lady Wore To An Event.Is This Fashion Or Madness?"